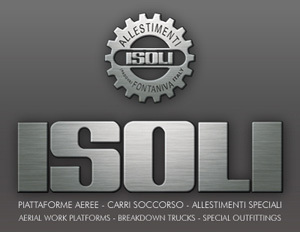 Based in Fontaniva, Italy, ISOLI was originally a truck manufacturer after the end of World War II. However, they now sell across Europe and have also started to make outreaches into Asia and the Middle East. They continue to produce breakdown trucks to this day, but they have also expanded into producing aerial work platforms and working for the military sector. They now have 12 models of aerial work platform, most of which are based around the Nissan Cabstar platform.